Because I have never been good with time zones, I’ll just say that the 2015 Jeep Renegade made its debut recently over at the Geneva Motor Show, and damn, do I wish I were there to see it in person. 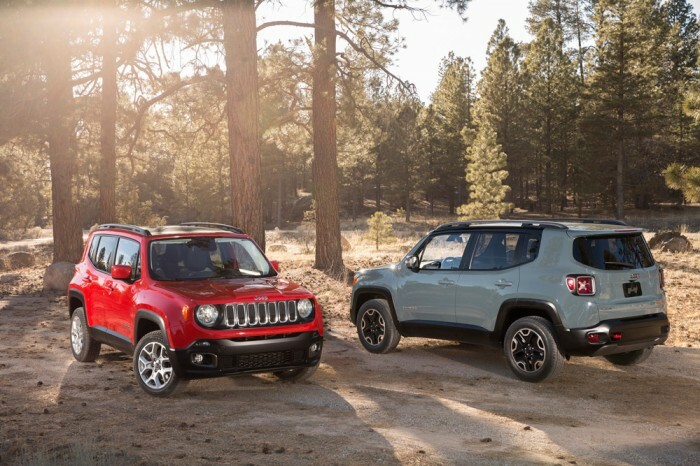 The 2015 Jeep Renegade is the all-American brand’s first foray into the small SUV segment, but it still maintains the rugged spirit of adventure that Jeep has come to epitomize. 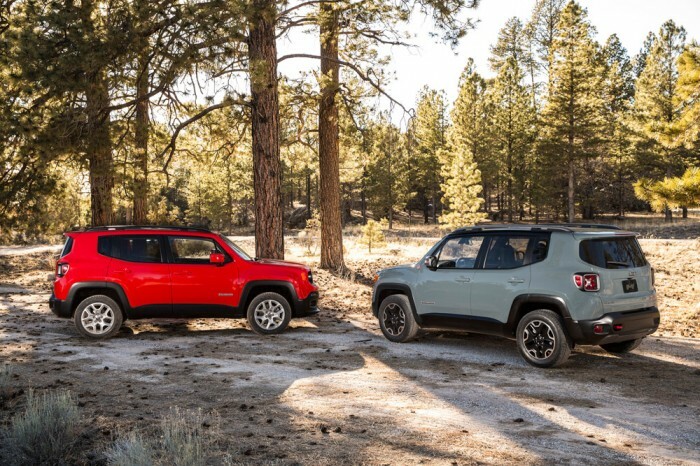 According to Jeep’s official press release, the Renegade delivers best-in-class off-road capability and is featured with the segment’s first nine-speed automatic gearbox for enhanced on- and off-road driving dynamics. Under the hood are some of the most fuel-efficient engines that Jeep offers, and behind the wheel is a host of exciting and innovative technologies. 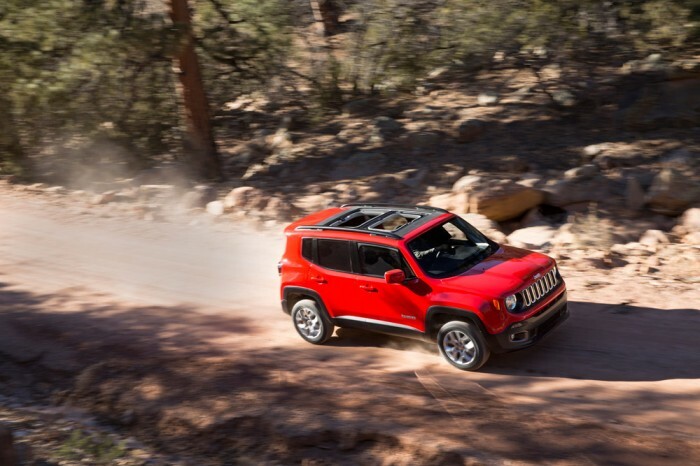 The Renegade is the only small SUV to offer a disconnecting rear axle and power take-off unit for improved efficiency. The nine-speed automatic transmission (like the one featured in the Jeep Cherokee) is the first of its kind to make its way to the small SUV segment. 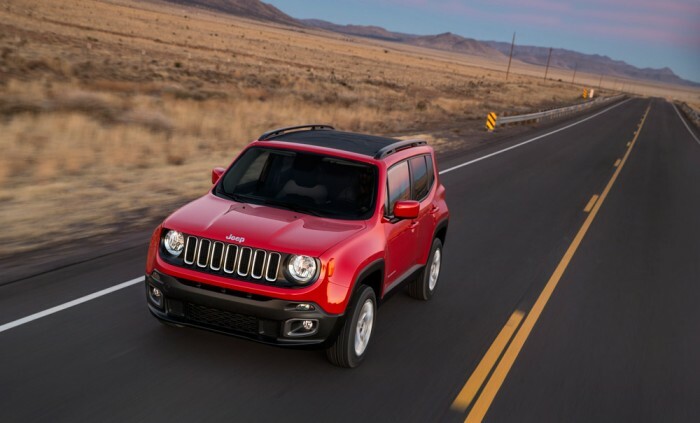 With this transmission (mated to either a 2.0-liter MultiJet II diesel engine or a 2.4-liter MultiAir2 gas engine), the 2015 Jeep Renegade will see boosted fuel economy and smoother power delivery, not to mention some badass launches. The 2015 Jeep Renegade is the first small SUV from the Chrysler Group to utilize the “small-wide 4×4 architecture.” Handling and road-holding is enhanced by Koni’s frequency selective damping front and rear strut system. 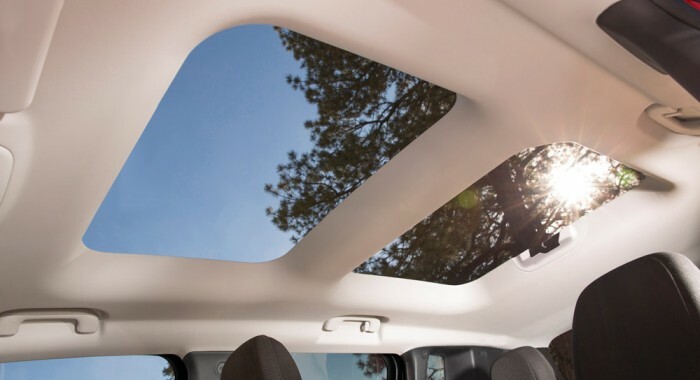 The My Sky open-air roof system gives occupants a sense of freedom, much like the iconic Wills MB Jeep of 1941. Technologies for the 2015 Jeep Renegade include Uconnect Access, Uconnect touchscreens, and a full-color instrument cluster display—the largest in the segment. On top of that, the Renegade includes up to 70 advanced safety features, including LaneSense Departure Warning-Plus, Ford Collision Warning-Plus, Blind-Spot Monitoring, electronic stability control with electronic roll mitigation and seven airbags, Rear Cross Path detection, and a ParkView rear backup camera with dynamic grid lines. The Trailhawk model has extra goodies for the boldest of drivers, delivering best-in-class Trail Rated 4×4 capability. 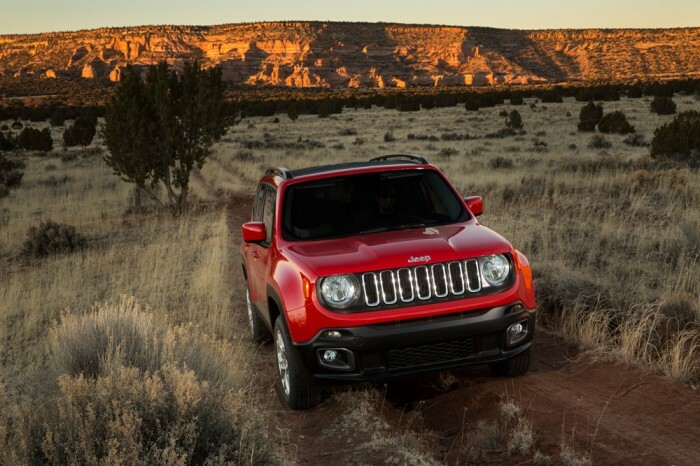 The 2015 Jeep Renegade was designed here in the States and created in Italy. Final assembly will take place at the Melfi Assembly Plant, but powertrain production will take place in Italy, Brazil, and here in the U.S.